Is coffee gluten-free? And if it's gluten-free, then why does it seem to bother some people so much? This is a tricky question. Plain coffee should be gluten-free to very low levels, assuming it hasn't been cross-contaminated by gluten (we'll consider flavored coffees in a minute, since they can be riskier from a gluten standpoint). However, lots of people who follow the gluten-free diet do report gastrointestinal symptoms from coffee... symptoms that can seem an awful lot like their symptoms from gluten. The truth is, coffee can be really hard on your digestive system. 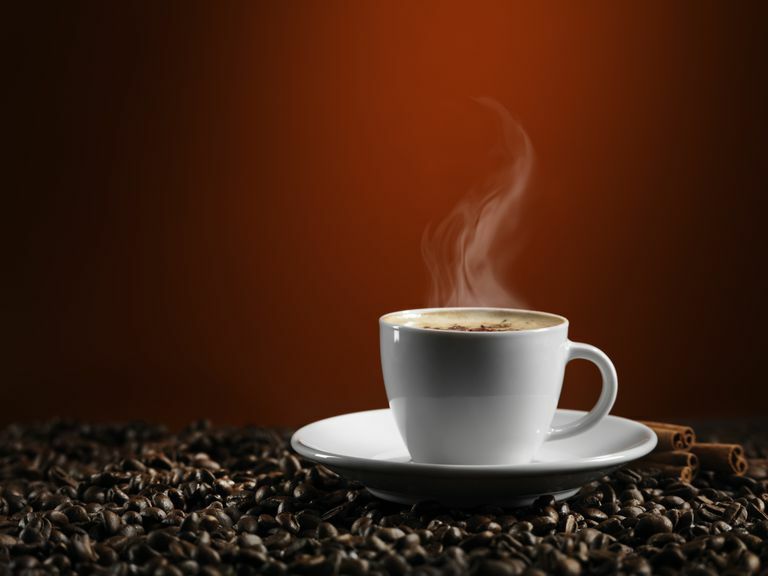 Regular coffee contains caffeine, which can lead fairly quickly to a bad case of the runs. This may be more likely to happen if you're newly diagnosed with celiac disease or non-celiac gluten sensitivity and your system is still irritated. However, it's not uncommon in people who don't have either condition. If you're new to the gluten-free diet, you might not be able to tell the difference yet between your symptoms when you eat gluten and other digestive maladies (such as a bad reaction to caffeine). You might want to consider cutting back on your coffee consumption for a while to see if that helps with your symptoms. Of course, it's also possible that you are, in fact, reacting to gluten in your coffee. Even plain coffee beans can be cross-contaminated if they're processed in a shared facility or on equipment that also processes gluten-containing ingredients. When you add creamer products and sugar to the mix, your odds of a reaction from gluten can rise substantially (for example, powdered creamers can contain gluten, especially if they're flavored). I also know of one person who got glutened by a sugar bowl that, unbeknownst to her, had been contaminated with a flour-coated spoon during baking (this issue is more common than you might think). If you're getting symptoms from your plain coffee (and especially if you're pretty certain those symptoms stem from gluten ingestion and not just coffee drinking), rule out the creamer and cross-contamination from your sweeteners first. Some sweeteners also may pose a problem for someone who's gluten-free. At that point, if things haven't improved, you may need to switch coffee brands. You also may want to consider buying plain coffee beans and grinding them yourself—ground coffee offers more of a chance for cross-contamination at the food manufacturing level, simply because it's more processed. What About Flavored Coffee? Is That Gluten-Free? Coffee beans or ground coffee that you buy pre-flavored (those yummy-sounding flavors like chocolate hazelnut and almond toffee crunch) are likely to be considered gluten-free, and may even be labeled "gluten-free." But that's (sadly) not the end of the story. Coffee flavorings generally are made with a proprietary blend of "natural flavors." Despite a well-justified fear of that term on labels (since it can hide gluten-containing ingredients, most commonly barley-based flavorings), it appears we don't need to worry about "natural flavors" in this context—those used in coffee are rarely if ever, derived from gluten grains. However, many coffee flavorings have an alcohol base... and that alcohol typically is derived from grains, including gluten grains. The conventional wisdom among some (but not all) celiac disease and gluten sensitivity experts are that distillation removes the gluten protein from the alcohol, and so alcohol is considered gluten-free even if it's derived from gluten grains. However, many people experience gluten reactions to distilled grains. The amount of grain-based alcohol in flavored coffee is minuscule, even if there was some residual gluten left in that alcohol, it would register way below the 20 parts per million which is generally considered "gluten-free." But a minuscule amount is all it takes for some people to react, although very, very few people are this sensitive to trace gluten. If you do fine with flavored coffees, that's great. But I'd exercise caution if you haven't tried them before, especially if you tend to react to gluten-based distilled alcoholic beverages or seem particularly sensitive to trace gluten. You also might consider making your own flavored coffees at home, using alcohol-free flavoring (I've done this myself with Singing Dog Alcohol-Free Vanilla Flavoring). There's no reason you can't enjoy a decent cup or two of java (even flavored) while following the gluten-free diet, providing you take a few precautions (you can even go to Starbucks). Just pay attention to your body, and be prepared to make some changes to your coffee habit if that java doesn't seem to be agreeing with you. Which Starbucks Items Are Gluten-Free?